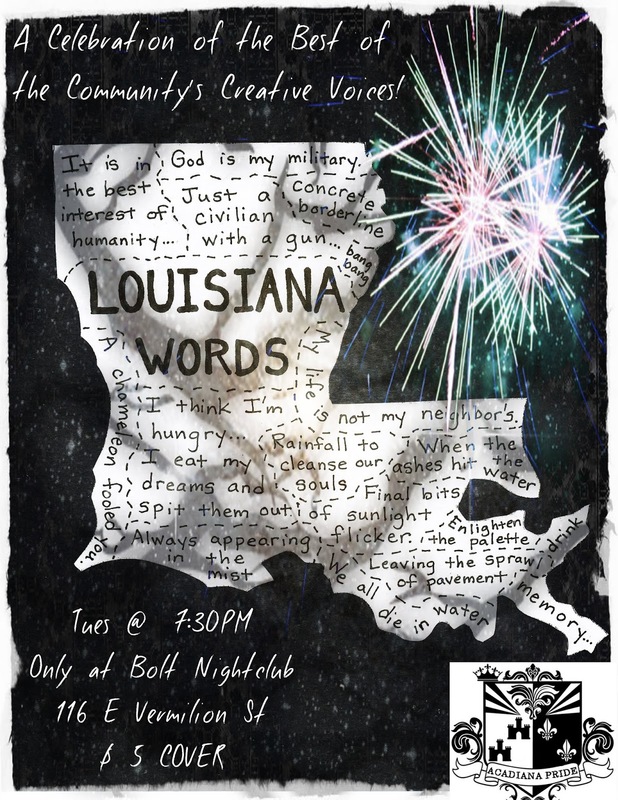 Louisiana Words: The Series-Every Tues @ 7:30PM at Bolt Nightclub! 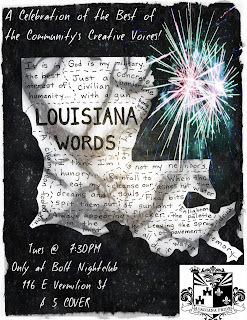 If you would like to read at the next reading, e-mail us at louisianawords@gmail.com contact us via our Facebook page. We do have open mic spaces but they are limited. We look forward to seeing you!